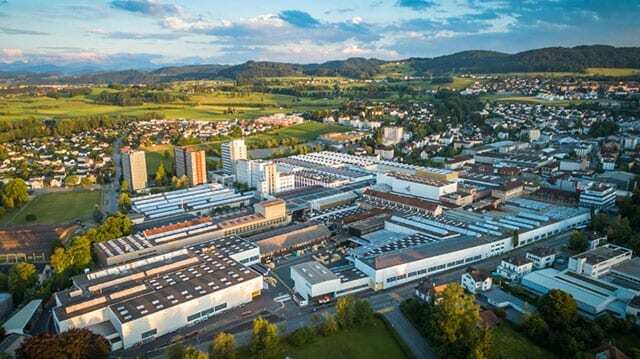 SWITZERLAND – Buhler plans to launch new digital technologies to address challenges in the food processing industry in an attempt to minimize toxic contamination, reduce food waste and increase product quality across the food chain. Digital solutions and services will be offered through collaboration with Microsoft, coming at a time when the food industry is facing both environmental and economic pressure. FAO estimates that by 2050, the world’s population will grow to nine billion and food manufacturers are under pressure to provide not only sufficient but nutritious food while ensuring sustainable development in the communities they operate in. Buhler says despite 30% of global energy going into food production, 30% of food produced go into waste while 800m people starve, and with new technologies, they were stepping up agricultural systems, which will need to supply an additional 265 million tons of plant protein by 2050. Through smart partnerships, Buhler pledged to create businesses that solve these problems by enhancing capabilities in entire value chain from farm to fork. “Today’s food value chains are facing tremendous challenges,” said Ian Roberts, CTO at the Bühler Group. “Digital solutions will allow us to improve food safety and integrity and reduce food losses and waste. They enable us to be more efficient in production. Its Gamaya decision support and automation services helps farmers optimize their use of water, chemicals, fuel and manual labor, improve quality and achieve sustainability. Buhler will be launching a sorting technology for maize to address aflatoxin that is highly carcinogenic and affects milling efficiency. To reduce loss of over 85 million tons of cereal grains in storage and handling every year, Buhler will introduce PreMa silos, ensuring intelligent storage and handling. TotalSense is a mobile rice analyser that provides quick and objective quality control reducing time for rice quality checks by upto ten times. Another technology is Safefood.ai, a tool geared at improving food safety through data-driven early warnings by identifying food and feed products affected and provide customized early warnings to food processors. According to Roberts, the digital revolution is essential in creating value in the food chain; improve safety, transparency and efficiency, and reducing energy consumption and waste.